Kate got up briefly around 8:30. She got some yogurt and apple juice. Then she went back to bed while I was preparing to leave for church. I planned to encourage her to be ready for lunch when I returned. Then I have changed my mind. I thought it best to let her rest and see if she was up when I get home. Yesterday I had to get her up for lunch around 11:35. I called her from church at 11:15. She was still in bed. I told her I was on the way home and that I was planning for us to go to lunch. She was almost ready when I arrived home. Everything went fine. We have a wedding reception for our next door neighbor and his new bride at 2:00. She will definitely want to attend. It is good that we don’t have a specific deadline; so if we get there at 2:30 or a little after, we will be fine. It ends at 4:00. I am going to start my periodic letter to Dr. Reasoner today or tomorrow. In particular, I want to ask about Kate‘’s medications. They might have something to do with her recent lethargy. I also want to know if a visit to a neurologist might be a good idea. Last night we went to a theater production of Honky Tonk Angels. It was a somewhat corny musical tied together by a series of popular country music. Most of it was quite familiar to the audience – at least to us. Kate loved it. It was the most enthusiasm I have seen her express in a while. I was glad to see it as I was beginning to think it might be over. This morning she was slow to get up. She got up somewhere between 8:00 and 9:00 and got something to drink. Then she went back to bed where she remained until I told her it was time for lunch (11:35 am). She got up and dressed quickly. She perked up after lunch. We didn’t get dessert but on the way home she said she wanted something. I stopped at a new bakery near our house where we got a couple of blondies. When we got home, I came inside to check email and upload a couple of CDs to my computer. She remained outside until a few minutes ago. She was just doing some pruning. Tonight I will not give her Benadryl. I have been doing that to help her with the drippage she has had with her cold. I hope that she will be more alert in the morning. I am also going to start my regular letter to her doctor. She has her next appointment on March 10. I have questions about her medications as well as whether or not there might be value in seeing a neurologist. I came home directly after going to the Y this morning. My purpose was to get here early enough that I could take Kate to Panera for a while before time for lunch. She was in the family room editing photos on her computer. The TV was on to MSNBC. I asked if she would like to go to Panera. She said she would but not right then. I told her to just let me know when she would like to go. Then I went into the kitchen where I checked and answered my email. After 45 minutes or so, I went to the family room to see if she were ready to go. She wasn’t there. I went into the bedroom and found her under the covers. She was sound asleep. Just a few minutes ago she came into the kitchen still dressed in her sweat pants and shirt that she had slept in. She said she wanted to go to Panera. Noticing the time I asked her if she would like to go eat lunch and, perhaps, go to someplace else instead. She hesitated. Then she said she didn’t want to get dressed. I suggested that she wouldn’t want to go out in her sweats. She didn’t want to but agreed to change. When she came out, she was still wearing the same sweatshirt but had changed to black slacks. A little earlier I had reminded her that we are going to a musical tonight. She said, “Tonight?” and looked like that was an awful idea. I told her I thought it was something she would enjoy. I just got home from a United Way dinner where they recognize the humanitarian of the year. I was there along with a number of others from the foundation because our previous board chair was this year’s selection. At any rate when I got home at 10:00, I was surprised when I walked into the bedroom to discover that Kate was awake. When I expressed my surprise, She told me it had been hard to stay awake, that she had gotten up and walked around and also gotten a Dr. Pepper, but she stayed awake because I wanted her to. When I explored this a little, I learned that she thought I had told her to stay awake until I got home. We hadn’t even talked about it though I had joked at dinner and said, “Now don’t get into any trouble while I am gone.” I suspect this led to her incorrectly remembering what I had said and altered it to be that I told her not to go to sleep. Now she has been wide awake. She has been a little irritated because it is my fault that she is awake. She said she was going to tell my next wife what I am like. As in most situations like this, she doesn’t sound serious. It’s her way of kidding me, but it does have a tone of seriousness as well. This is different from those times when she gets angry with me because she thinks I am rushing her to get ready to go someplace. That is definitely serious. I have always been a good sleeper, but in the past year or so I have had trouble. It isn’‘t trouble going to sleep. It is waking up early in the morning and not being able to go back to sleep. This is one of those mornings. I awoke at 2:59 and have not been able to go back to sleep since then. At 3:30 I got up, put my earbuds in and listened to soft music (a playlist that I created for Kate when she has a panic attack). Finally at 4:00 I just got up and decided I would write this post. When I wake up like this I find myself thinking about all the different obligations I have. These are heavily focused on Kate. That has been the entire case this morning. When I say Kate, I really mean the two of us. This morning I have been thinking about the challenges of keeping her entertained. She seems to get so bored. I started thinking about the senior center where Mom and Dad used to go. I didn’t think of it at the time, but I am confident now that Dad was connecting with places like that to try to entertain Mom. Of course, it isn’tjust the person who has Alzheimer’s. There is also a focus on the caregiver. With the loss of our closest friends in town, I have had a fear that the two of us will become more and more isolated. While I am the more gregarious, Kate also enjoys being with people. I can see ourselves getting cut off from close social contact. We are not likely to be cultivating new friends at this stage of our lives unless we are very deliberate about it. That is getting harder as Kate’s condition deteriorates. So what am I going to do about it? First, I am going to pursue more regular attendance at the Wednesday evening church suppers. I am also going to check into the senior center and explore what possible opportunities they have. In addition, I believe I will start participating in the Shepherd’s’ Center programs. Finally, I will start regular attendance at the senior’s’ luncheons at church. I am hoping those outlets will be good for both of us. I also mindful that this is a short-term fix. As Kate declines, she will be less able to get out and be involved. What I will have to do is balance the benefit she may derive from the social stimulation with the frustration she experiences because she is not fully able to enjoy, understand, and participate in these activities. Inevitably, she will drop out, and I will be left to go on my own. I have to admit that as I consider these things I am experiencing fear about the future. We have gotten along so well during the past 5 years since her diagnosis. The inevitable reality is beginning to hit me. A little over a week ago we both came down with colds. That has captured our attention since then. Although Kate has had a more serious cold, I have also taken longer to come back than I normally do. It is a little difficult to assess how her Alzheimer’s has affected her behavior during this time. What I can say is that she has been more vocal than usual. By this I mean that she has moaned and groaned a lot as well as expressing vocal sighs and “ohs” during coughing bouts and other moments when the congestion in her throat and nasal passages increases. 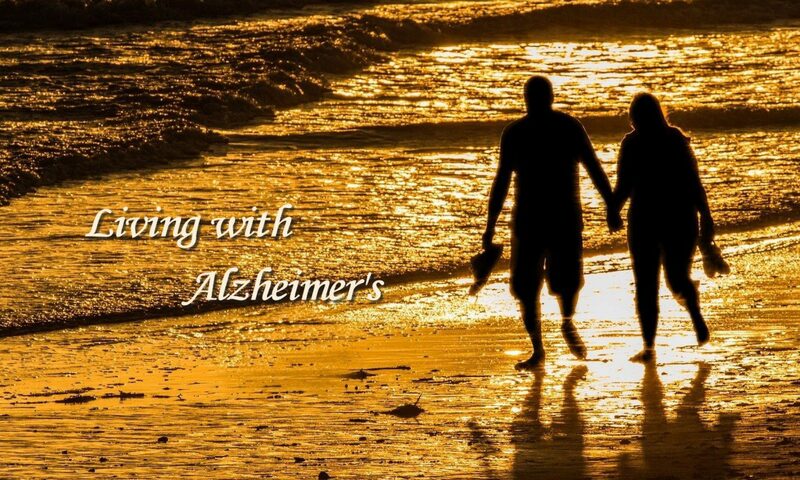 Her typical Alzheimer’s symptoms have continued, but I have paid less attention as my focus has been on treating my cold. I have been drinking water all day each day. On Tuesday (2 days ago) I received 2 new SONOS wireless audio speakers. This made for a good time to set them up in the family room (less than an hour) and listen to a variety of music from my own CD collection as well as streaming from Amazon and Pandora. Yesterday I ordered a subwoofer to add to the system. It should be here by Tuesday or Wednesday of next week. It has also been a good week to gather income tax records for our accountant. I am pleased that I have assembled 90% of what I need. I still haven’t received everything. The one thing I have noticed today is that Kate sounded unusually annoyed with me. It occurred around the time we were to go for our haircuts. I think this is a holdover from the times when I have rushed her. It seems that every time we get ready to go someplace, she seems to be annoyed. Earlier I neglected to report that as we were pulling out of the garage to go to lunch, Kate said, “I’m so frustrated with myself.” This was after several things she had done as she was getting ready to leave. I said, “I know you are frustrated.” Then I asked her if she would like to talk about it. She said no as she always does. She just doesn’t like to talk about her Alzheimer’s. A few minutes ago as she was coming into the bedroom for the night, she said she wanted to thank me. She said she was falling apart and appreciated my taking care of her. I said, “I know you’re frustrated. I want to help you.” She said, “That means a lot, that you want to do it, and I know you do.” When she says something like this, it makes me want to do all the more to help her. On the other hand, I can find it frustrating myself when she won’t let me help. For example, I wanted to give her a Benadryl this morning. She asked if it would make her sleepy. I told her it would. She didn’t want to take it. This afternoon she has been having more trouble with her nose. I told her I was going to give her a Benadryl before she went to bed and that I wish that I had gotten her to take one earlier. She agreed, but earlier she didn’t want to take it. It is hard to know what to do, when to push and when to back away. I got an email reply from a friend whose wife also has AD. He suggested that I look into Kate’s medications and make an appointment with a neurologist. As I have done for the last 3 doctor’s appointments, I plan to write an update for Dr. Reasoner, Kate’s doctor. In addition to giving her an update, I plan to address the medications and the neurologist. In particular, I have wondered about the need for Kate to continue with her Prempro that is supposed to address her hot flashes. I have never felt the need for a neurologist before. The problems we have encountered have appeared to be the expected ones. We have been able to live fulfilling lives. Kate’s current status is causing me to reconsider. I am aware that Sharon Billings regularly used a neurologist. Virginia and Ken also use a neurologist. I still am not convinced that this is all that important, but I would hate to discover that I could have prevented a problem by seeing one. One of the reasons that I have not wanted to pursue one is that Kate does not like to focus on her illness. This sounds like devoting more attention that she would like. We are back from PEO and lunch. As I we got close the home where today’s meeting was held, Kate spoke my cell phone number. It was not correct; so I corrected her. Then I said maybe I should write it down. She said that would be a good idea. It turned out that I didn’t have anything to write with; so we rehearsed the number several times. She also asked me what to say if someone asked her about our cruise. I told her to say, “We went on a Caribbean cruise.”“She liked that. I felt bad for her because she has never felt the need to ask my number before. In addition, her asking about the cruise suggests to me that she continues to be alert to the fact that she is less able to remember things. I know this must create a good bit of stress, discomfort, and, possibly, fear. Shortly after 11:00, she called me to say she was ready to be picked up. I was at Starbucks. I said goodbye, and started to leave. As I was driving out of the parking lot, I received another call from Kate. She said she was sorry, but the program just began. I turned and went back to Starbucks where I waited for another call that she was ready. When the call had not come after 12:00, I decided to leave and head toward house where the meeting was held. I figured Kate would probably call while I was on the way. When I arrived, all the cars were gone. I went to the door and rang the bell. I discovered quickly the meeting had been over for some time but Kate had not called. The hostess said encouraged Kate to call me, but Kate said she had called me and that I was on the way. It was 12:50 when I arrived. My guess is that the meeting had been over more than an hour. It had been a long wait for her, and she was not happy with me. She thinks I said I was coming but didn’t. The truth is that the communication was unclear. I thought she would call me back when the meeting was over. She thought that I would come ahead.